Happy Manicure Monday everyone! How were your weekends? I went to Max Brenner (again) with my boyfriend. This is our absolute favorite spot to get dessert. As I've said before, if you haven't been there you should definitely put it on your list the next time you're in NYC. Pro tip: make a reservation before you go. I ordered The Euphoria Peanut Butter Chocolate Fudge Sundae. 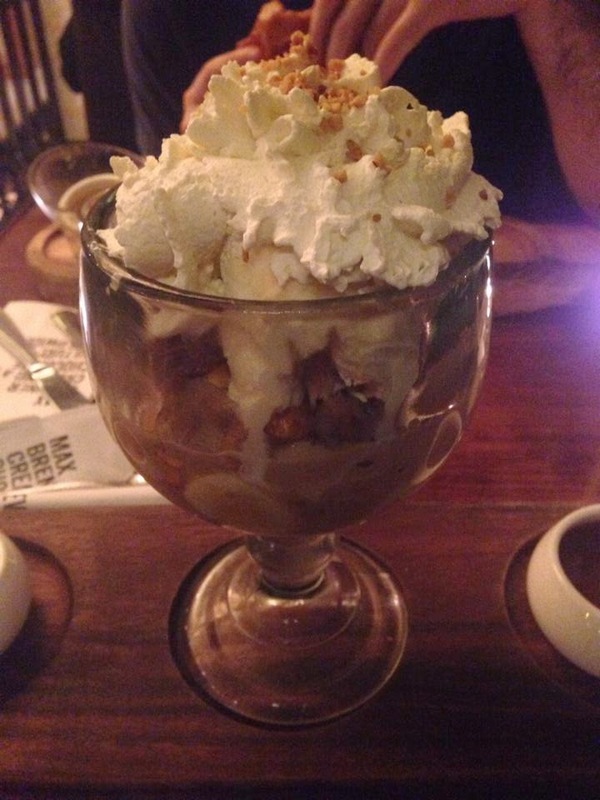 This concoction is made with chocolate peanut butter ice cream, dulce de leche ice cream, caramelized toffee bananas, spiced peanuts, and pure chocolate chunks topped with whipped cream and crunchy hazelnut bits. Oh and did I mentioned it's served with warm peanut butter sauce and milk chocolate ganache to drizzle over the top? Yeah, this is as decadent as it gets folks. I asked the waitress if anyone ever actually finishes this gigantic sundae by themselves and she told me lots of them do! I think if I ate it over the span of a day I could, but I would totally get sick. Look at all that deliciousness! 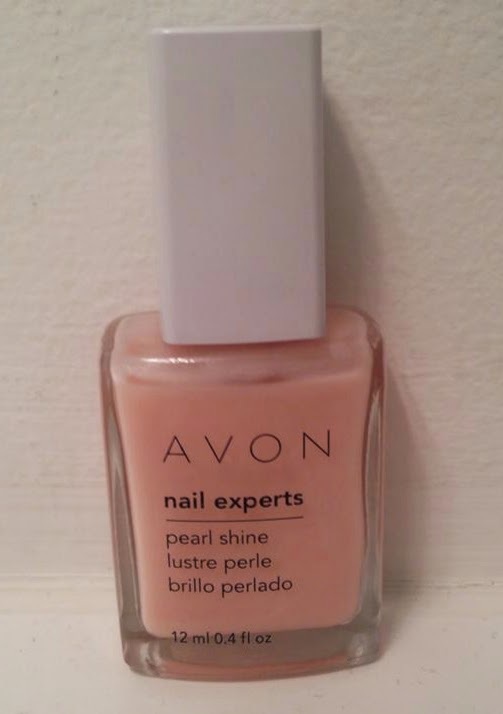 For my nails today I wanted a little break from color so I decided to try my Avon Pearl Shine. I really love this for when I want a clean and beautiful manicure. It has just a touch of pink, but it is very sheer. 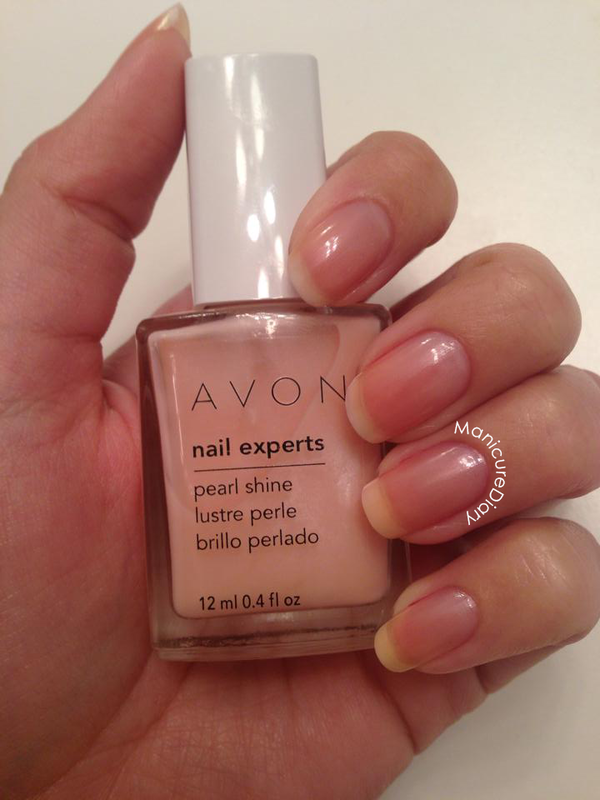 This is a lovely alternative to a clear coat. I am also thrilled with the formula. Be on the look out for my spooktacular Halloween nails coming up on Tuesday or Wednesday. I have something awesome planned!